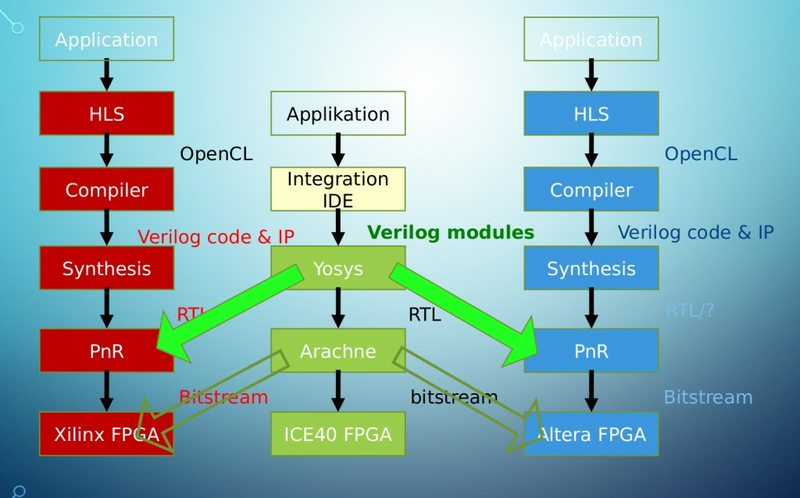 By using Yosys as synthesis tool, you keep your Verilog project platform independent. Arachne is currently not able to generate bitstreams for Xilinx or Altera devices. But you can use Yosys to do the synthesis and use the vendor PnR tools to generate valid bitstreams.